This essential, pause-resister narrative on the history of drone warfare by the acclaimed author of Rumsfeld explores how this practice emerged, who made it happen, and the real consequences of targeted killing. A great blend of history and the Present. I learned a lot about the rationale behind the origin of drones, and its absolutely astounding longevity despite their ineffectiveness. The American military machine and its wealthy lobbiests are making the world unsafe as defense contractors' main goal is to make money -- money coming from tax payers. Ethics never seems to be an issue, all the while innocent people die from being in the wrong place at the wrong time. 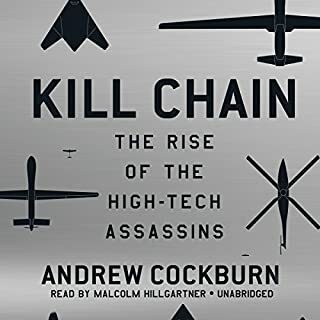 It is a great read to view drone warfare from the perspective of an insider, away from conventional news clips and journalistic sensationalism. 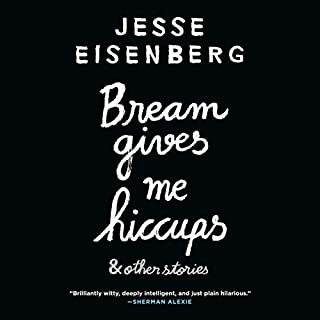 Taking its title from a group of stories that begin the book, Bream Gives Me Hiccups moves from contemporary LA to the dorm rooms of an American college to ancient Pompeii, throwing the listener into a universe of social misfits, reimagined scenes from history, and ridiculous overreactions. 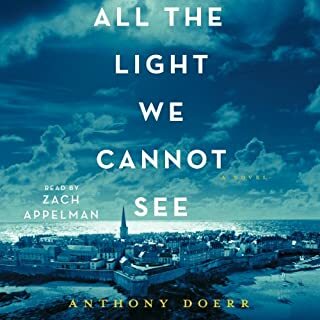 In one piece a tense email exchange between a young man and his girlfriend is taken over by the man's sister, who is obsessed with the Bosnian genocide ("The situation reminds me of a little historical blip called the Karadordevo agreement"). The book goes into what people 'really' think and translates it into a book. The stories are thought provoking, but the first one actually made me cry. At first it was funny, but then the reality sets in and you realize that it was a sad yet loving story. Jesse's reading style really brings out the character. I might not be a fan of his movies but I must say I enjoyed the book. I haven't read any novels in years because I struggle to dive into stories that are fictional, but not this one. The storyline crisscrosses through time and places, sometimes full of tension, sometimes peaceful. Images flow into me as the story goes on, and I never find it dull. I truly enjoyed it and hope it turns into a movie some time. I would highly recommend if you enjoy stories based on the war, or history in general. In a world of technology, romance has been largely redefined. To listen to Aziz's research and personal experience made me think about my own relationships and how I should handle them. 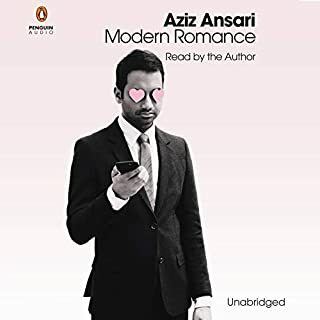 Aziz is funny and witty, I wish the book didn't end so quickly! 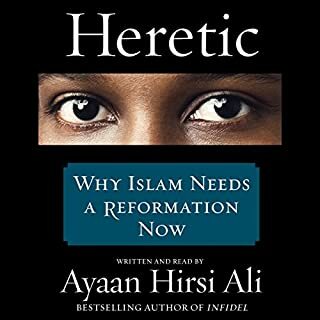 Having Ms. Ali explain the core doctrines of Islam is very helpful to understanding why her book and thesis is relevant and urgent. More people need to learn about Islam, and engage the society to push for the modernization of the interpretation of the holy text, an issue ignored by Western media so far. Great book! This book completed exceeded my expectation. The detail in which the author describes Sergei's story moved me to tears many times. His story deserves to be told by this book to everyone who has conscience. Thank you for sharing your story with me. I have learned a lot about human rights in Russia, and the system that is so corrupt criminals can roam free without consequences. A true 5 star. Every day, three times a day, the students march in two straight lines, singing praises to Kim Jong-il and North Korea: Without you, there is no motherland. Without you, there is no us. It is a chilling scene, but gradually Suki Kim, too, learns the tune and, without noticing, begins to hum it. 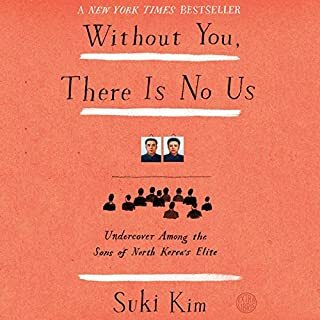 It is 2011, and all universities in North Korea have been shut down for an entire year, the students sent to construction fields - except for the 270 students at the all-male Pyongyang University of Science and Technology (PUST). This is a fascinating extension to my existing knowledge of North Korea. It gives me first-hand experience on the lives of these elite students as well as ordinary North Koreans. Aside from the amazing story, I thank the author for her braveness to endure the harshness of life in order to bring back rare moments of humanity. Ever since 9/11 America has fought an endless war on terror, seeking enemies everywhere and never promising peace. 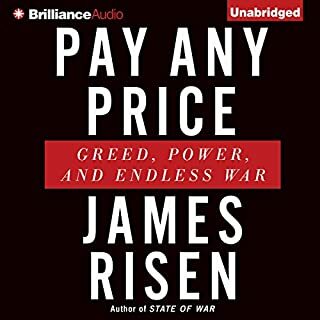 In Pay Any Price, James Risen reveals an extraordinary litany of the hidden costs of that war: from squandered and stolen dollars, to outrageous abuses of power, to wars on normalcy, decency, and truth. 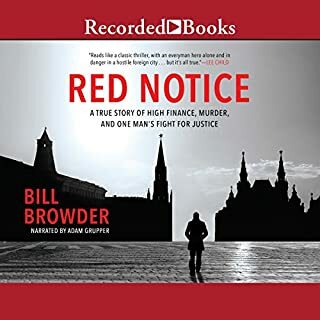 In the name of fighting terrorism, our government has done things every bit as shameful as its historic wartime abuses - and until this audiobook, it has worked very hard to cover them up. As an international relations major when in college, I thought I was savvy in American policies. But I was wrong. This book truly revealed what everyone ought to know about the pseudo democratic societythat we all live in. I would recommend to anyone who is remotely interested in politics and international relations. Poverty goes up. Crime goes down. The prison population doubles. Fraud by the rich wipes out 40 percent of the world’s wealth. The rich get massively richer. No one goes to jail. In search of a solution, journalist Matt Taibbi discovered the Divide, the seam in American life where our two most troubling trends - growing wealth inequality and mass incarceration - come together, driven by a dramatic shift in American citizenship: Our basic rights are now determined by our wealth or poverty. This is an excellent listen for anyone who is interested in the (skewed) American justice system. I didn't know of such enraging stories of polarized systems functioning on the same planet but on a parallel universe. The welfare story reminds me of the clip shown on The Daily Show: white newscasters questioning whether people on aid should buy fish "because fish is expensive". I wish those people can wake up from their monolithic dream of America the Rich and realize how ridiculous how money controls politics and how anyone is treated.. . 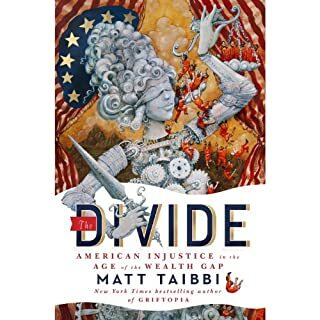 Author Matt Taibbi illustrates the story so well I can envision the scenes as the story is being read. I would recommend to people who has a thirst for truth. 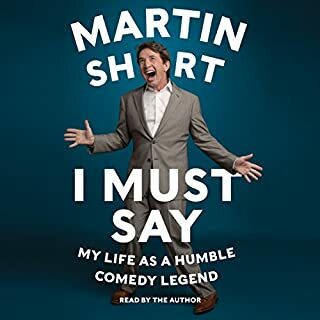 Martin Short takes you on a rich, hilarious, and occasionally heartbreaking ride through his life and times, from his early years in Toronto as a member of the fabled improvisational troupe Second City to the all-American comic big time of Saturday Night Live and memorable roles in movies such as ¡Three Amigos! and Father of the Bride. This is what audio books were made for! Martin Short wrote not only as a comedian but also as a humble man. His stories of Nancy and David touched my heart, and his Short way of life has made me realize that being happy is the most important in one's life. A truly delightful book to listen to.